BMW has launched yet another SUV to join the X3 and the X5. 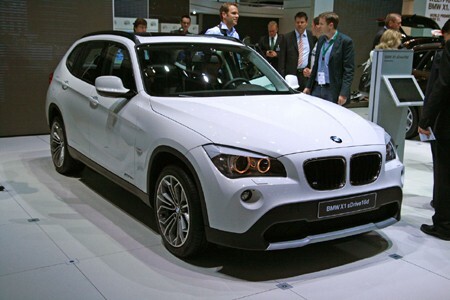 At first glance you might not know it is the new BMW, as it looks so like the X3. In fact, the X1 has a wheelbase just 3.5 cm shorter than the "larger" car. The plan is that the next X3 will grow in size to give the X3 a bit more room but, in the meantime, the X1 and X3 look like they are competing with each other. However the X1 18d is a rather tempting £4,000 less than the X3 18d. The other issue with the X1 is perceived quality. A few people had already questioned the interior, so we took a close look. As well as a rather spartan dashboard, it was noticeable that some of the interior plastics felt a bit thin. Around the centre console, a moderate press with a finger produced rather more movement than you would expect.